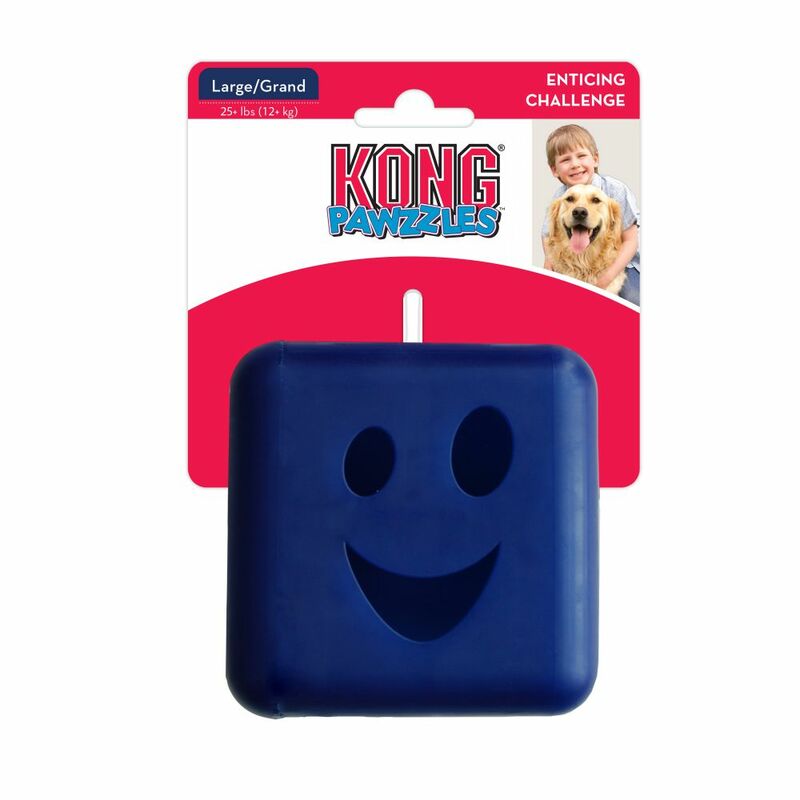 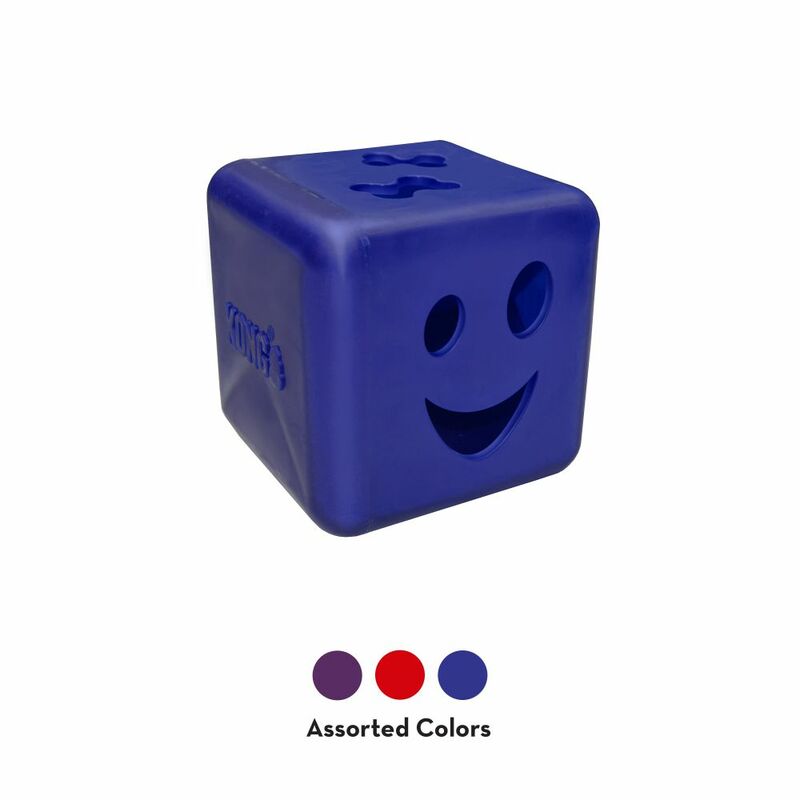 KONG’s Large Pawzzles Cube is mentally and physically stimulating for dogs 25 lbs+. 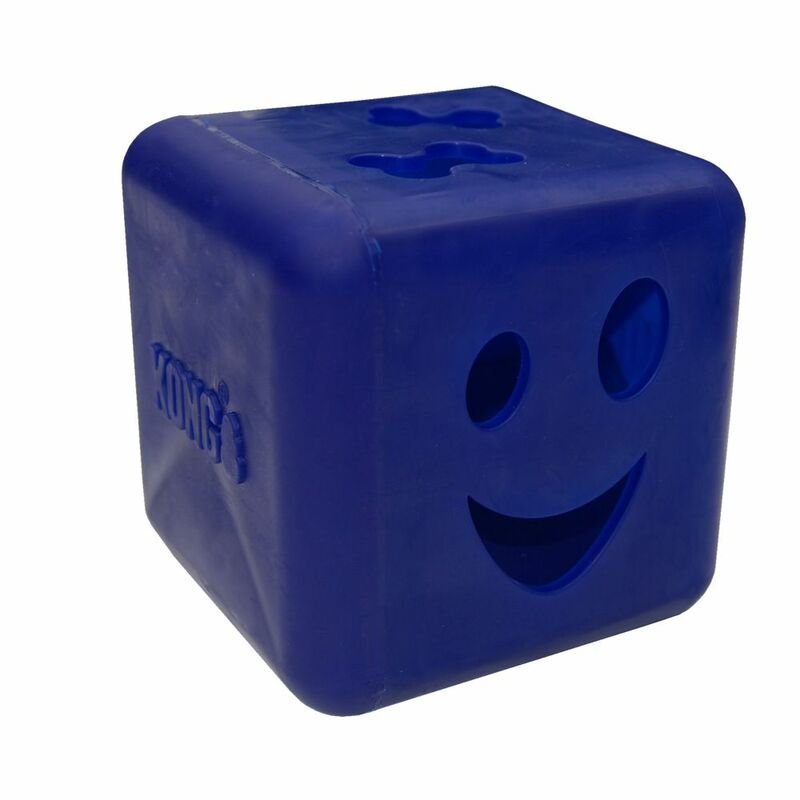 The toy fulfills natural foraging instincts. 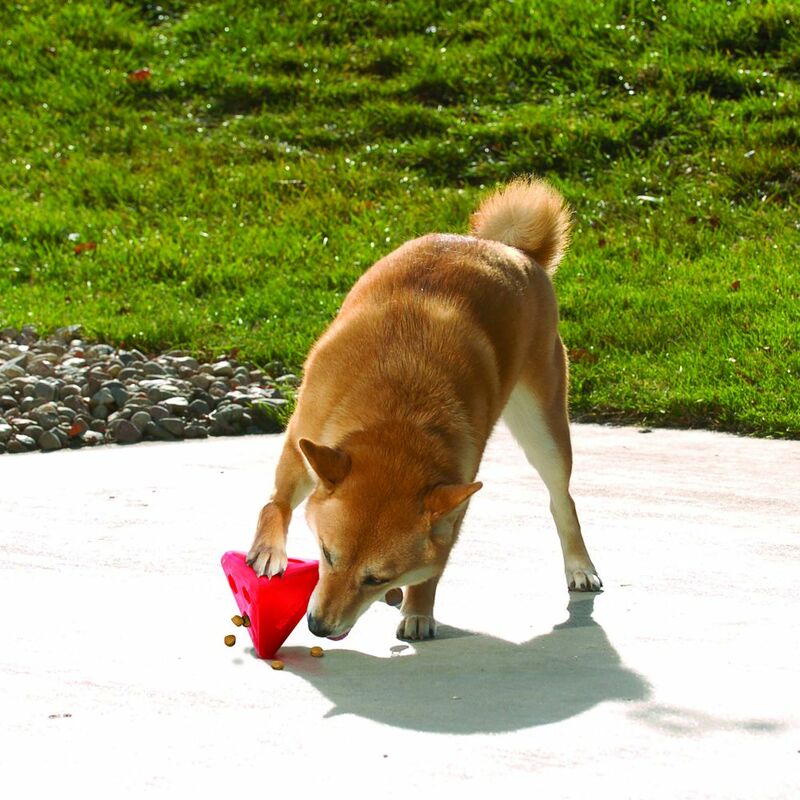 For variable challenges, use larger treats. 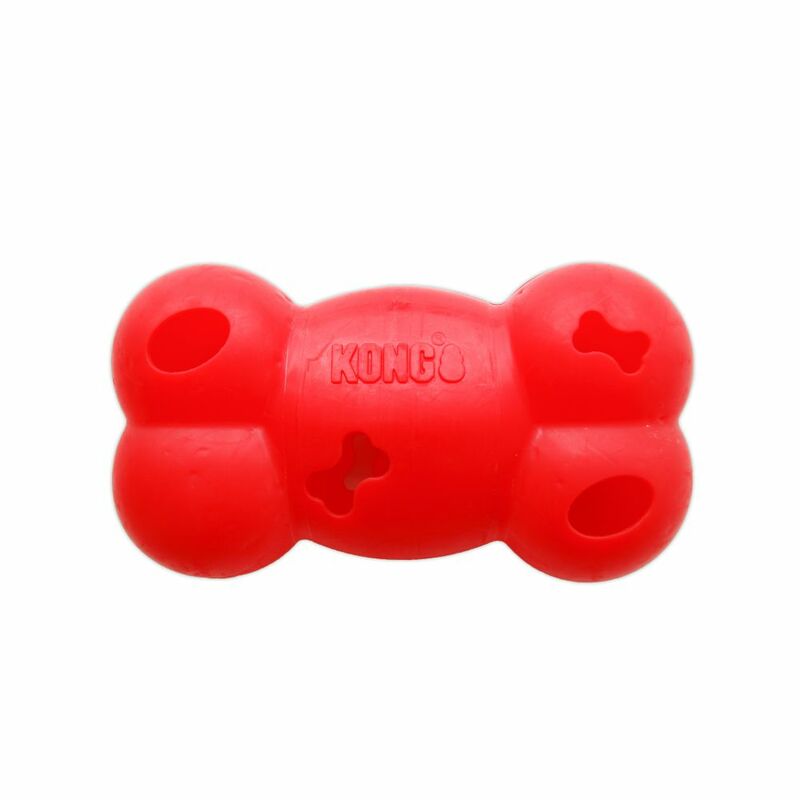 Dogs need to play so toss them a toy that keeps them happy and engaged.